With many markets regulating online poker around the world it may not seem like the most opportune time to launch a new poker network, but B3W Group doesn’t seem to care. In August 2011, B3W Group launched the Yachting Poker room using a brand new software suite that had never been seen before. When Yachting Poker launched last year the poker room was operating by itself, but now there are three more skins on the network and B3W Group decided to finally name the poker network. What is the Poker Pack Network? B3W Group is well-known in the online gaming industry, but not the poker industry. B3W Group has been operating online casinos since 1998 and has several brands under their name. The online casinos that operate under the B3W Group include Yachting Casino, Casino Broceliande and Bet in Paris. 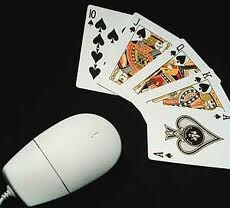 B3W Group decided last year that they wanted to enter the online poker industry. Rather than open a poker room on an established poker network B3W Group decided to develop in-house software. The new poker platform is actually pretty well designed, but the only problem right now is the network has no traffic. The hardest part of growing a new online poker network is having a big enough player base to get the action running 24/7 at the micro/low stake tables. The Poker Pack Network started out with just Yachting Poker, but now three other poker skins have joined the network. The three news skins on the network are The Poker Barrel, Black Stack Poker and B4 Poker. Traffic on the network is still immensely small and only averages about 40-50 real money players at any given time. The new software is better than a lot of the small networks software and I believe that the Poker Pack Network will be able to grow into a top 20 poker network if they can continue growing. 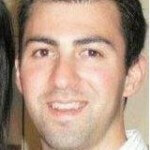 One unique feature about the new poker network is that players instantly receive 30% rakeback from the network without having to join any 3rd party providers or anything. B3W Group won’t be accepting American poker players on the new network, but most other countries are welcome to join. B3W is a company based out of Malta and the network is licensed in Malta by the Lotteries & Gaming Authority. The poker games that you can play on the network include Holdem, Omaha and Seven Card Stud with Hi/Lo variations also being played. Right now there are still better poker networks to earn 30% rakeback, but the Poker Pack Network is a new player in the rakeback industry and has a great software platform to work off of. When traffic at the network is big enough to support full ring games 24/7 it’ll be a great poker room for rakeback players, but in the meantime you should pick one of our more popular rakeback deals.